The period we know as classical antiquity begins with the Homeric period and concludes with Hellenic cultural diffusion. Ancient Greek thought, as expressed both in philosophy and the arts, is pervasively influenced by the Homeric epics the Iliad and the Odyssey. The psychological perspectives of the ancient world are comparably indebted, for these poems are at once studies of character (“personality”) and of the conditions that impel action, distort perception, cause thoughts and feelings, and shape social life. Read more about Homeric Foundations. Greek settlement of the Aegean islands and coastal cities of Asia Minor was prompted initially by scarcity on the mainland and by attractive trading prospects. The first written versions of Homer’s epics would be composed in Ionia, whose Greek colonists were further inclined toward philosophy by daily contact with radically different cultures based on radically different concepts and traditions. The first to call himself a philosopher was Pythagoras, from the Ionian island of Samos, Thales, Anaximander, and Anaximenes were from Miletus; Heraclitus from Ephesus; Anaxagoras from Clazo­menae; Xenophanes from Colophon. In the Italian colonies would appear Philolaus from Tarentum; Empedocles from Acragas; Zeno and Parmenides from Elea. North of the Ionian cities, in Thrace and in communities around the Black Sea, the names of Protagoras, Democritus, and Leucippus are added. Read more about Pre-Socratic Philosophy. The dialogues of Plato allegedly do no more than report the teaching of Socrates, but much of what is found in these works is surely Plato’s own invention. Their com­position spans a period of years such that one must distinguish between the early, the middle, and the late works, with sometimes dramatic departures found across these periods. In the broadest terms, the dia­logues address four core problems: the problem of the knowable (ontology and metaphysics); the problem of knowledge (epistemology and psychology); the problem of conduct (ethics); and the problem of governance (po­litical and social science). Read more about Plato’s Psychology. Of the many creative undertakings of classical Greece, surely Greek medicine must rank as high as any, and the Hippocratic School takes the laurel. That biological cast of thought reflected in Aristotle’s works certainly benefited from the background influences of the Hippocratic School and from Greek science in general. Read more about Hippocrates’ Psychology. 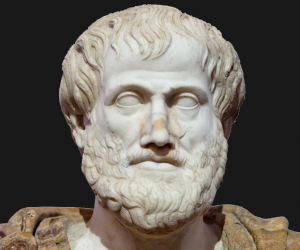 Aristotle studied in Plato’s Academy for 20 years, from its founding (c. 347 BCE) until Plato’s death (c. 347 BCE). His father was personal physician to the Macedonian king Amyntas II, father of Philip II and grandfather of Alexander the Great, whose teacher Aristotle became. Though a devoted admirer and friend of his great teacher, Aristotle departed from Platonic philosophy in the range and details of his inquiries and in the mode of inquiry. His classical formulation of psychic processes in On the Soul has often been relied on to the neglect of his other works. However, any attempt to comprehend his remarkably complete and systematic psychology requires a generous sampling from many of his treatises, including those devoted to logic, ethics, politics, and metaphysics. Read more about Aristotle’s Psychology. The major Stoic philosophers were Zeno of Citium (Cy­prus), who lived between 336 and 265 BCE, Cleanthes (c. 331-232 BCE) and Chrysippus (c. 280-206 BCE), both from Asia Minor. Later Stoics of the Christian era include Seneca (c. 4 BCE-65 CE), Epictetus (c. 50-138 CE), and Emperor Marcus Aurelius (121-180 CE). Epicurus (341-270 BCE) was born on Samos, and although his parents were Athenians his early education was received in Asia Minor from teachers versed in the philosophies of Plato and Democritus. His most famous spiritual descendant was the poet Lucretius (99-55 BCE), whose De Rerum Natum set to verse the tenets of Epicurean thought. Read more about Stoic and Epicurean Psychology. The conquest of the Greek-speaking world by Alexander the Great resulted in the first wave of diffusion of Greek thought and culture, a diffusion that continued during the subsequent hegemony of the Roman Empire. In their thirst for culture, Roman aristocrats imported hundreds of Greek scholars to teach their children and refine their arts and letters. Juvenal would declare Rome “a Greek city.” Cicero stamped Roman law with Stoic reasonableness (even as he criticized Stoic philosophy), as Nero would traduce the lessons of Epicurus into a grotesque caricature. But from the time of the death of Alexander (323 BCE) to the completion of Justinian’s legal Codex nearly a millennium later, Western conceptions of human nature and the conditions judged to be essential to its realization were understood in terms first developed by the ancient Greek thinkers and taught by them to the successive generations of those who came to rule them. Barnes, J. (Ed.). (1984). The complete works of Aristotle (Vols. 1-2). Princeton. NJ: Princeton University Press. Jowett, B. (Ed.). (1943). The dialogues of Plato (Vols. 1-2). New York: Random House. Robinson, D. N. (1989). Aristotle’s psychology. New York: Columbia University Press. Sorabji, R. (1993). Animal minds and human reason. Indi­anapolis: Hackett.